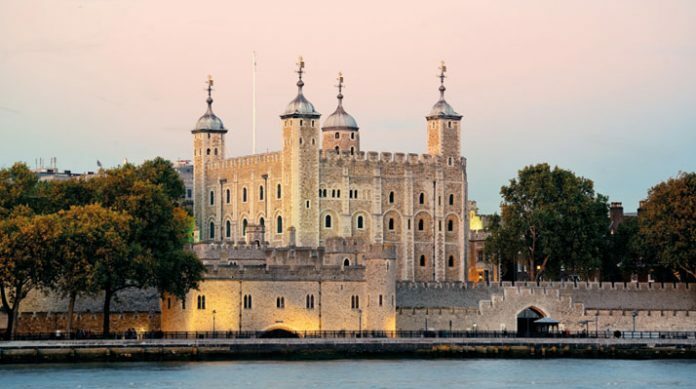 The Tower of London is one of England’s most striking landmarks, with its impressive and foreboding structure symbolising everything that Medieval England stood for: power, grandeur and strength. Originally the home of royalty and most famously a prison until 1952 (holding captive such historical figures as Anne Boleyn, Lady Jane Grey and Guy Fawkes), the Tower is steeped in history and played an important part in shaping the musical landscape of its day. Choirs, ornamented with different instrumentalists, created the musical fabric of the Tower, according to the musical tastes of the time. Arguably, it can be said that musically, the Chapel Royal achieved its greatest eminence under the reign of Elizabeth I. During this time, many famed composers, including Thomas Tallis and William Byrd were members, and these musicians created some of the most beautiful sacred and secular music of the time. Although not certain, it is possible that these masters of early music would have performed, and more certainly visited the two intimate chapels of the Tower. Colm Carey, the Director of the Odyssean Ensemble, reflects on the upcoming performances of Byrd at the Tower as part of the Spitalfields Music Festival 2018: “Like all great composers, Byrd is a combination of head and heart. His music has incredible intellectual rigour, while also being deeply expressive, and these facets are clearly evident in the motets we are singing for the Spitalfields Music Festival. They are drawn from his first collection of Cantiones Sacrae and were written at a time when Catholics were being heavily persecuted in England. Byrd expresses the pain felt by his Catholic Brethren through his music, but also provides comfort and succour to them in recognising their plight, and hoping for a better future. One piece in particular – Deus Venerunt Gentes – will be especially moving in the Chapel Royal of St Peter ad Vincula, as it commemorates the death of the priest Edmund Campion, who was held and tortured at the Tower. Campion was executed on Dec 1, 1581 (our concerts are taking place on Dec 1, and we will have some words from Campion himself read just before we sing this work). The intimacy of this Tudor Chapel is an ideal space in which to hear this sacred chamber music, as one gets both a sense of the grandeur and opulence of Byrd’s writing, while being able to hear the fine detail”. The performances are on Saturday 1 December at 6pm and 8pm. Tickets are available here or through our Box Office on 020 7377 1362.